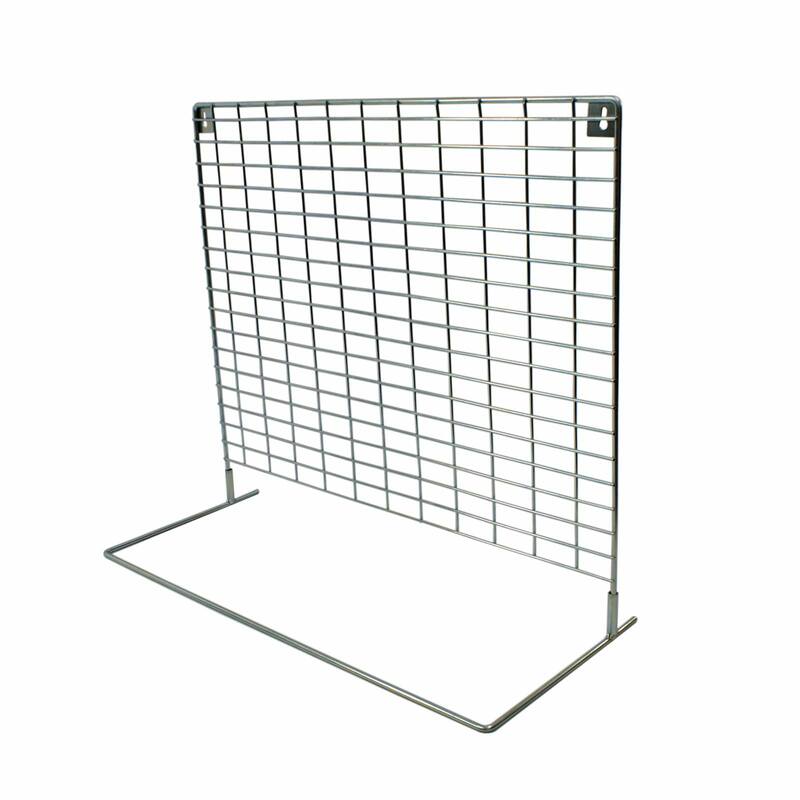 Sturdy counter mesh panel in Chrome for shop display. Comes in 2 parts and can be wall mounted. 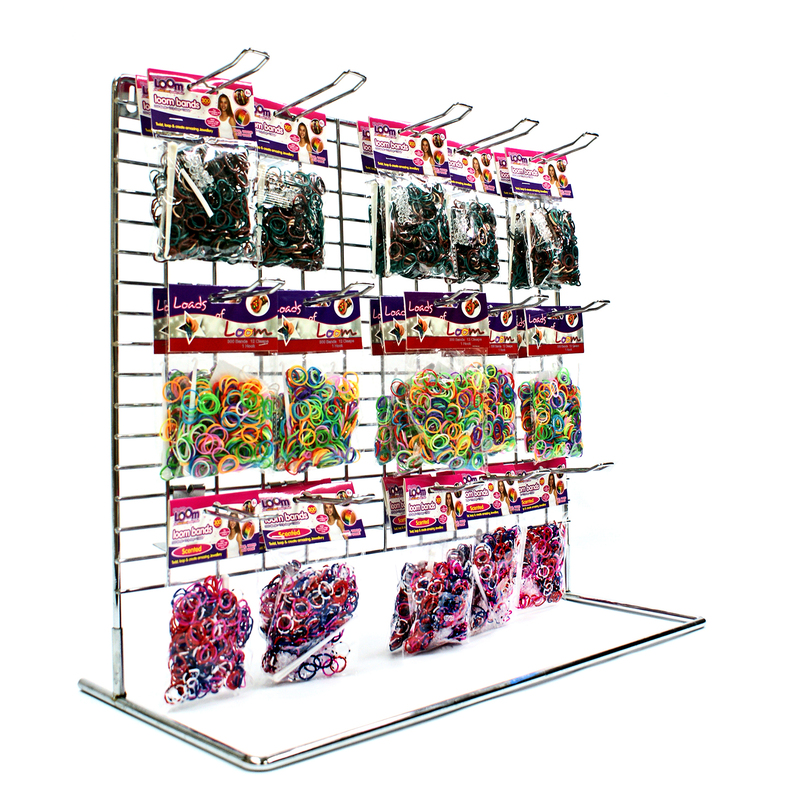 Ideal for small carded items, souvenirs, merchandise and POS items.